Johnny Rhodes, Unlikely Hero. We Remember Him On This Memorial Day. | Georgia Teachers Speak Out! ← I Am Returning From An Eight Week Sabbatical, Full Of Piss & Vinegar! Yeeeeee-ha! Ha! Johnny Rhodes, Unlikely Hero. We Remember Him On This Memorial Day. Private John Rhodes, U. S. Army, killed in the Battle of the Bulge, January of 1945. 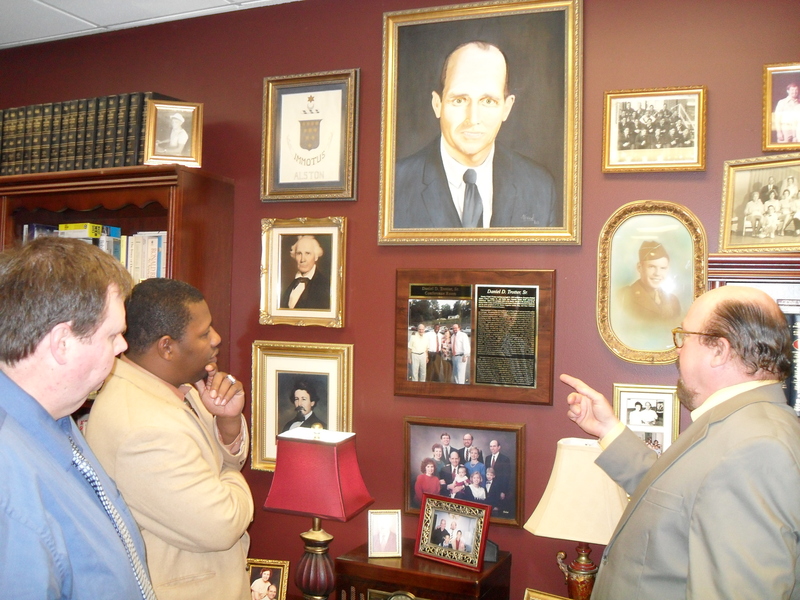 Note: The portrait of Johnny Rhodes in his U. S. Army uniform is right above my head in this photo. The large portrait is of my father, painted by one of his students in 1966. My father’s ship was blown up by a Japanese kamikaze plane toward the end of the war. Over half of his shipmates were killed. He survived and married my mother while on his mandatory furlough in February of 1945 in the living room of my mother’s home on Lawyer Lane in Columbus, Georgia. They are 87 years old and still happily married today. 4 Responses to Johnny Rhodes, Unlikely Hero. We Remember Him On This Memorial Day. Thanks! I feel the same way, CV.